Continuing the 13 pages from Part One. World War II, and in that guise make wartime enemies 17 of all Americans in the several states. In 1913, “Foreign Credit Organizations”18 now the Federal Reserve Banking System, were given the Treasury of the United States, its personnel and facilities. All of which ceased to exist by 1921. The foreign bankers together with others, devised a plan intended to capture the entire wealth of all Americans. This was to be accomplished by taxation, confiscation, or whatever means necessary to pay the “debts” of the United States, meaning those accumulated by Congress. k) Is this why so much of what has NOT gone before the Supreme Court today ­ especially from Bush Jr. forward, has still not been reviewed or ruled-on by the U.S. Supreme Court? k) Is this why both USA Patriot Acts were written and enforced because both primarily deal with monies received in the context of “enemies of the United States”? “…Enemies of the United States include all the people in any district that was in insurrection against the United States in the Southern rebellion, except insofar as by the actions of the Government itself, that relation may have changed.” 22 No known reason exists to suppose the same is not also true today, and early case law prohibits any such exemption. 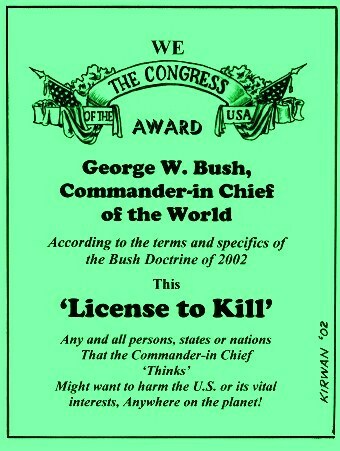 k) Remember how many times both Bush & Obama have ‘mentioned’ that “afterall We are at War” or “a state of war exists” Is this a clue as to how this government is still trying to spin the way the laws were written, from the time of the Civil War, in order to favor their continuing takeover of the nation now? “After failure of the Sixteenth amendment to lay an unappropriated direct tax on Americans, on February 10, 1939, the Congress of the United States repealed all permanent and temporary laws extant in the United States and relevant to any domestic income tax saving only the prosecution and punishments which might have been pursued had the repeal not been enacted. The present Internal Revenue Code, Vol. 68A. U.S. Statutes at Large, 1954 was derived almost entirely from the repealed 1939 code and was reproduced in the code but does not contain an enacting clause. 23 The Trading with the Enemy Act does. …No doubt should remain concerning the “other purposes” concealed by the language used in the Social Security Act. It was clearly intended to provide unique individual identity for each member of a captured enemy population, as a means of providing unlimited Federal access to and control over every aspect of their lives and property. Today hospitals are required to number the enemy infants before leaving the birth facility, or at the latest before entering a public school. If all this fails, they will be denied an opportunity to work in the land of their birth, as a war measure. k) Many might remember that it was America’s “IBM” in the 1930’s that provided the Nazi war machine the ability to count their captives. That gave rise to the now infamous holocaust-tattoos that the Nazi’s created for every prisoner they took into captivity, of every race color or creed. This is the same function which the Social-Security Card number furnishes all US citizens with today ­ the only difference is that it’s not yet being tattooed upon our arms. 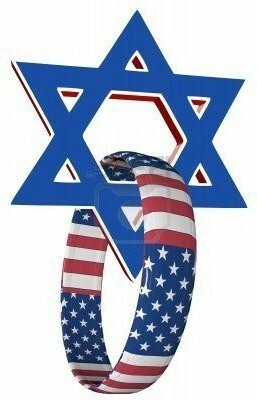 Thanks to the rearrangement of the original laws of this country, all Americans are clearly now the enemies of the “states” which inhabit Washington D.C., The City of London, Jerusalem and the Vatican. This is not conspiracy-theory, it’s conspiracy FACT. We begin by reading case law: “The sovereign power of the District of Columbia is lodged in the government of the United States, and not in the corporation of the District.”~ Let that thought sink in for a moment. The sovereignty vested in a national government by the American people at the nation’s founding has nothing whatever to do with what goes on in the District, and they expressly have no constitutionally derived influence over it. The Government of the United States is sovereign there, not the People of the United States! President Abraham Lincoln, acting as Commander in Chief, prosecuted the war against the insurrectionary states while acting in the name of the United States, and using powers given the government of the United States in the District of Columbia by the Constitution. Few indeed today, recognize the sources and extent of those powers. The effects of real world disasters have a way of forcing themselves into the everyday world that we’re all trying to live in today. What the public has totally forgotten is that the criminal-past of this nation, as it relates to the outlaws that govern over what used to be the USA, is no different from what has happened to many people since Fukushima forced its way into the headlines three years ago.